recommended for: Fans of Labyrinth (duh), The Star-Touched Queen by Roshani Choksha, Cruel Beauty by Rosamund Hodge, and other lyrical fairy tale retellings. Wintersong is a captivating, expansive tale of legend and folklore, mischief and music, sacrifice and self-determination. It is a story darkly whimsical and poignant, with the chilly gravity of Grimm and the velvety sensuality of a gothic romance. It's a languid, slow-burning book that takes its time; have patience, and you're in for a breathtaking experience that tugs at every sense and leaves you feeling just a little more magical. The skeleton is Labyrinth and German folktales; being an obsessive fan of both, it was impossible not to luxuriate in the sneaky references to the movie, the nostalgia, the familiar fairy tale characters. Jae-Jones does justice to these inspirations but builds something entirely new and glorious upon them. It's the story of sisterhood and family. 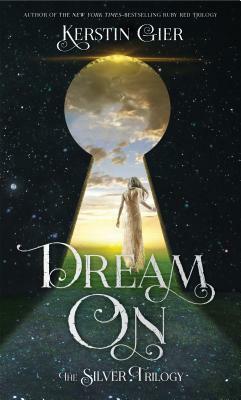 Liesl is plain, prickly, and self-sacrificing, but her soul radiates with passionate music. Kathe is beautiful and vibrant, but naive, impulsive. Josef is the virtuoso destined for fame, whose fate is the center of the family's existence. When Liesl must make choose between her brother and sister, it results in a devastating bargain with the Goblin King--a bargain that brings to light just how much she has always chosen both of them over herself. Jae-Jones navigates the complexity of Liesl's relationships with her siblings beautifully, unflinching from the layers of resentment and selfishness that mingle with deepest love. Her characterization of Josef and Kathe is less robust, because this is really Liesl's story. The story of her inner soul. Of her darkness, insecurities, lusts, desires. Of the wild passions she has kept hidden to the point of withering. Liesl's character screams vibrantly from every page, so that I felt by the end that I knew her, knew her soul. Even when she frustrated me, I loved to see her change and stumble and discover herself. My biggest complaint about the book was its pacing. The first half was breathtaking and I hardly knew the time was flying. Yet, we reached the second half and I felt that I had lost sight of the plot and the stakes. Everything I had expected to happen had already happened, and I didn't understand what was left. Jae-Jones recovers the threads quickly, but that middle lull definitely worried me. The second half is also less about the whimsy of the goblin world and the deals, more about Liesl and the Goblin King's relationship. Which is fine, except I wanted more whimsy and dealing and trickery. The final quarter felt so rushed when it was, in my mind, the crux of the second half. Of course, there were some totally shocking reveals slipped in before then that really smacked of excellent storytelling. Despite all this, Jae-Jones caught me by the end. Her prose is so precise and fluid, with a lyrical quality that reflects the music she writes about. And the music! I could almost hear it. The language wrapped me up in an atmosphere of eerie magic that made reading Wintersong a sensory experience. I felt transported. I also really don't like when people fall in love quickly, but the fantasy of the scene-setting and the rash, expansive personalities of the characters made me believe in their sudden passion--and there's a twist that really clinched it for me. But be prepared for some steam. This is probably more New Adult than Young Adult. That sexual awakening you had when you watched David Bowie in leather pants? Oh boy. I know Wintersong has gathered mixed reviews. It might not appeal to everyone. 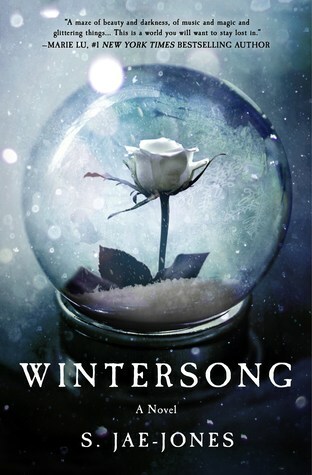 But I challenge you to try it for yourself because, if you are like me, if you love the dark carnivals and grim poetries and enchanting madness of the world, then Wintersong will trap you too. I swear, someday I'm going to set out to write a short review and actually write a short review. Thanks, y'all, for enduring my word vomit. Wintersong is a captivating, expansive tale steeped in grim legends, breathtaking romance, and music. This reminds me a little of Stolen Songbird, which I really liked. BUT THIS SOUNDS REALLY REALLY GOOD. Because MUSIC and FAIRY TALES and I really like the sound of the goblin world. I haven't seen many reviews of this yet, and yours is the first I've read, SO I do have pretty high expectations haha.